Whenever I need to do a substantial clean, I find making a checklist incredibly helpful for keeping me focused! Sometimes, I’ll also set the kitchen timer for 30 or 60 minutes. This helps me reduce distractions and plow through it! If it’s time to start spring cleaning in your house, get inspired with this set of beautiful spring cleaning checklists. The printables are completely free for you to print and use. 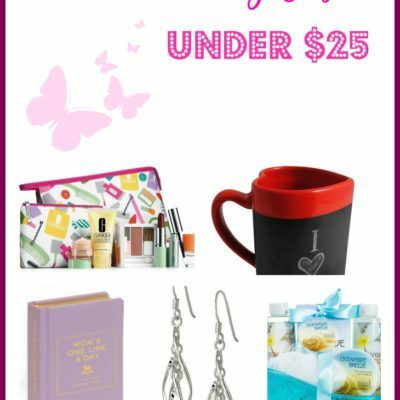 Consider it a small gift (and a nudge!) to get it done. 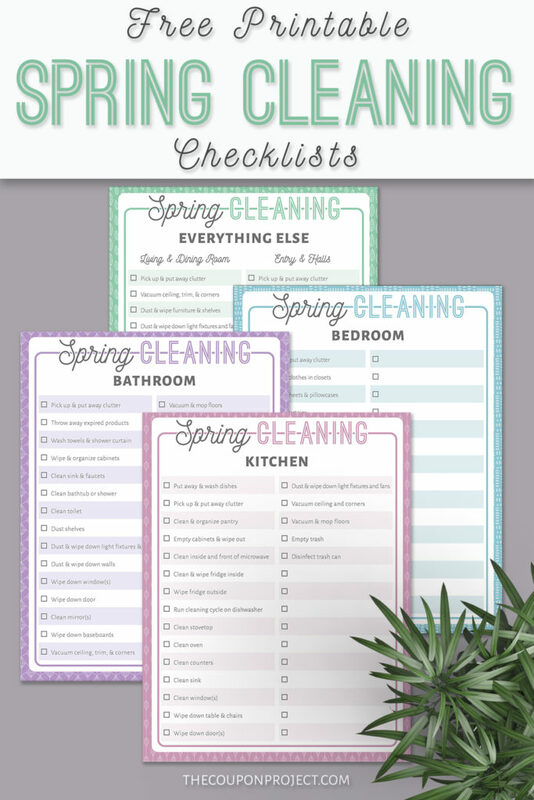 DOWNLOAD YOUR SPRING CLEANING CHECKLISTS NOW! 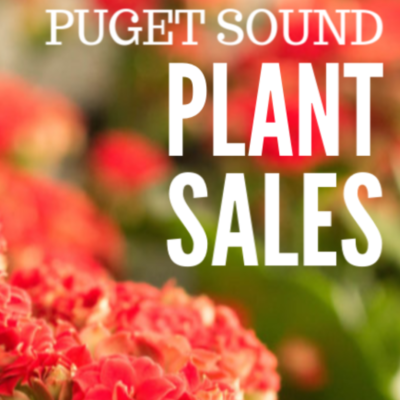 Included are four different Spring Cleaning printables. The pictures give you previews of what’s included. 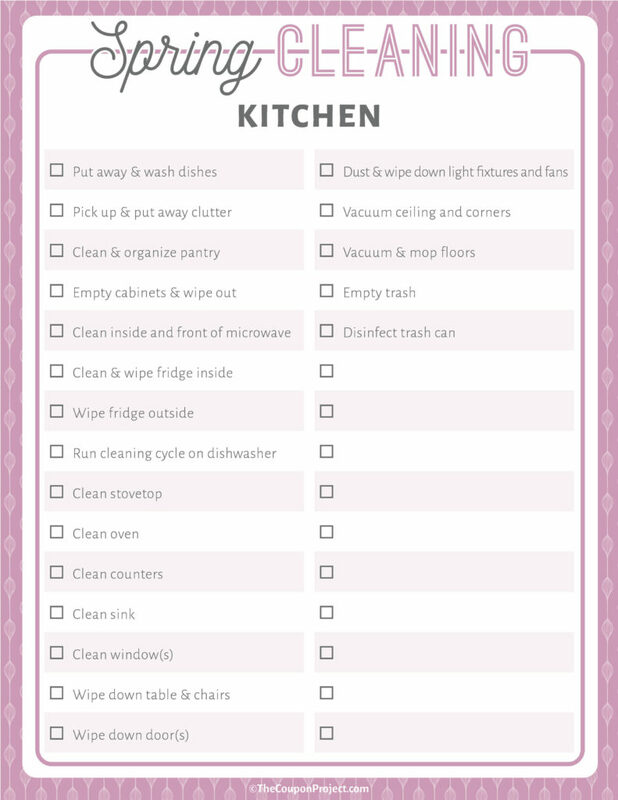 Spring Cleaning – Kitchen Printable. This list will make sure you get all the necessary deep cleaning done like the appliances, counters, and trash can. Plus, extra space for you to add your own tasks. 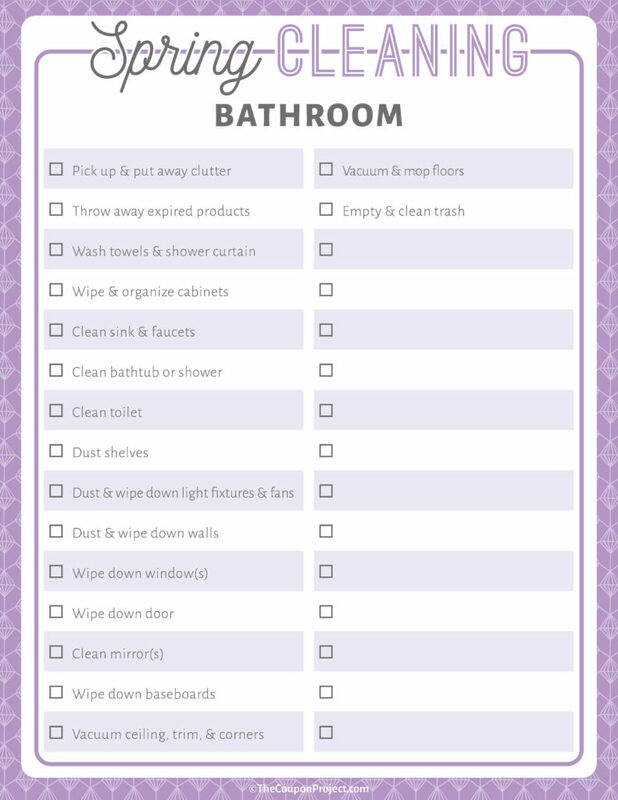 Spring Cleaning – Bathroom Printable. This list will walk you through cleaning every shelf, baseboard, and surface in your bathroom. As with the kitchen printable, there’s room to add your own tasks. Spring Cleaning – Bedroom Printable. 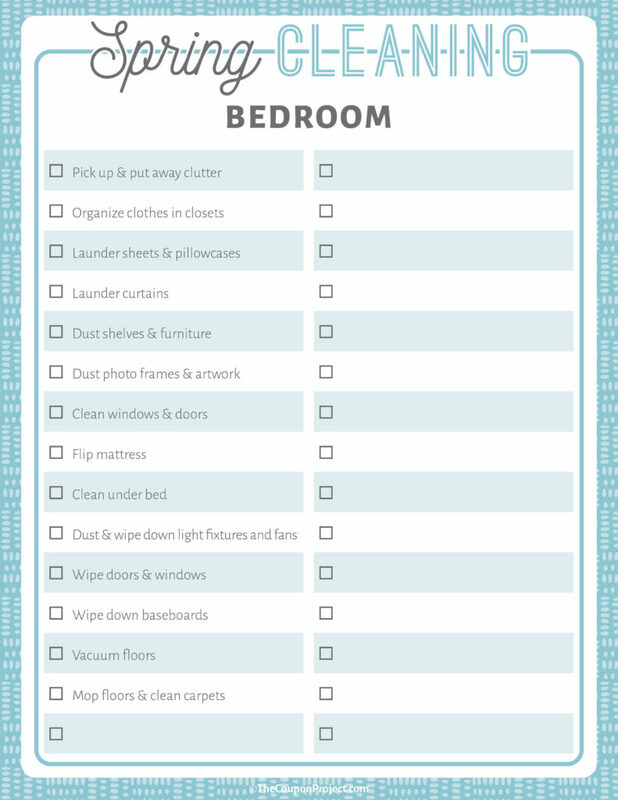 This printable will help you with deep cleaning your bedroom by tackling tasks you might not think of such as flipping your mattress and cleaning under your bed! 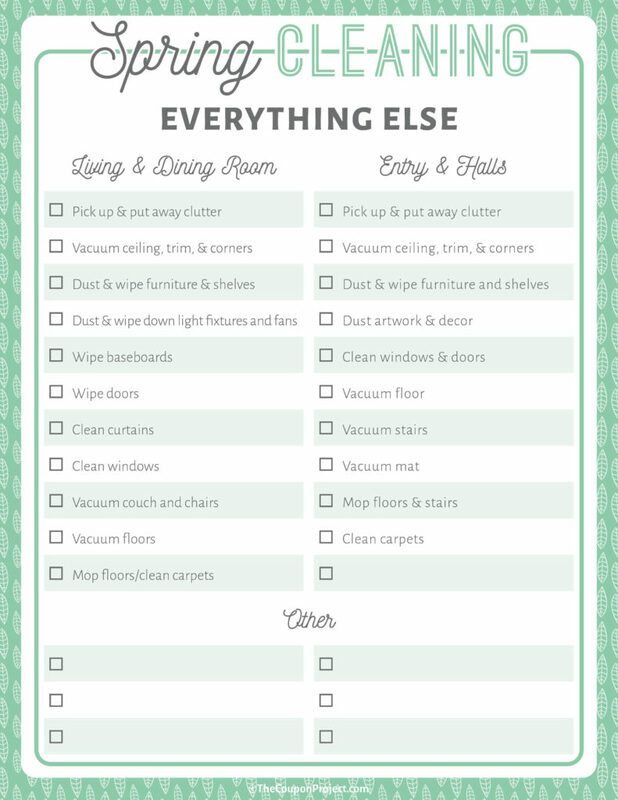 Spring Cleaning – Everything Else Printable. Use this printable to tackle your living areas, schedule home maintenance and more. 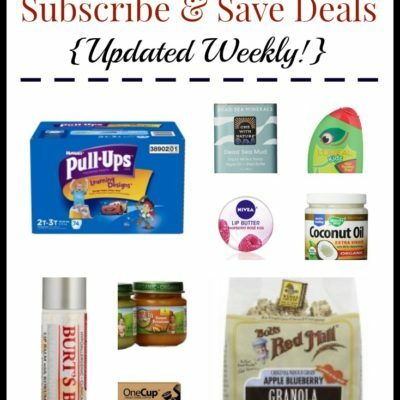 If you’ve enjoyed this post, consider sharing it with a friend! 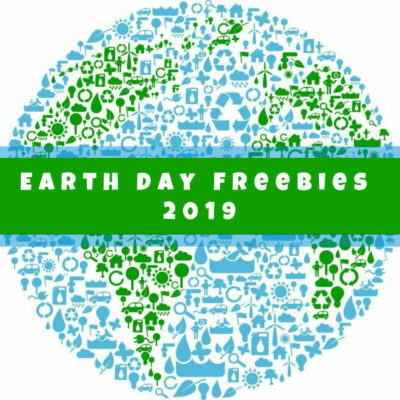 We’ve got loads more free printables available for you on this site, too. See the printables page for more, and make sure to follow our Spring Cleaning Frugal Style Pinterest board!